I had been eyeing slow cookers for quite a while. Did I really need one? I have a bunch of Dutch ovens in my kitchen. 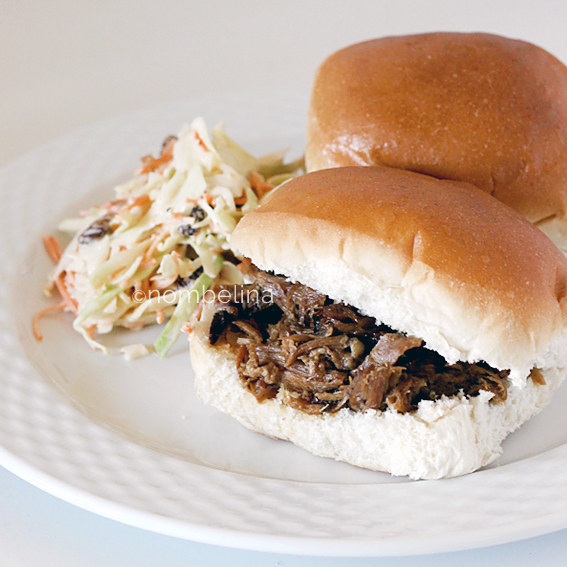 Just about everything you can make in a slow cooker, can be done in something else. Being a lover of food and of gadgets I just knew I wanted one regardless. Last week it arrived, my Crockpot 3.5 liter/3.6QT slow cooker. An oval shaped one so it would fit larger pieces of meat. The first thing I wanted to make? 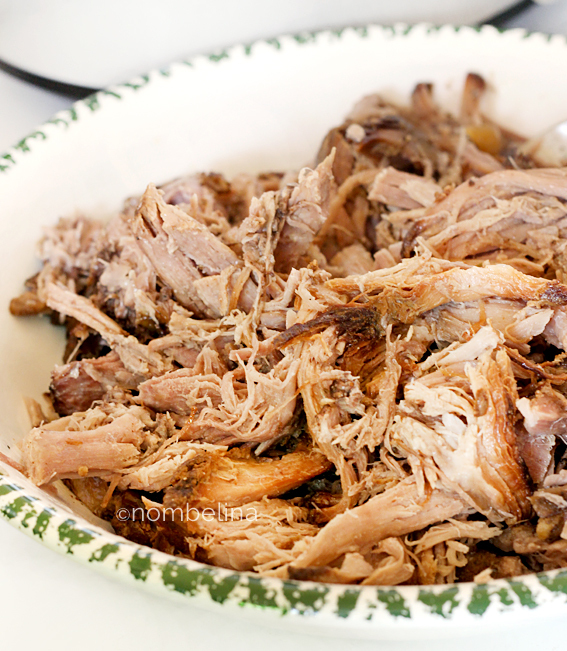 Pulled pork! I had never tried it, but many photo’s I’ve seen online made me want to eat it. So here goes my version. 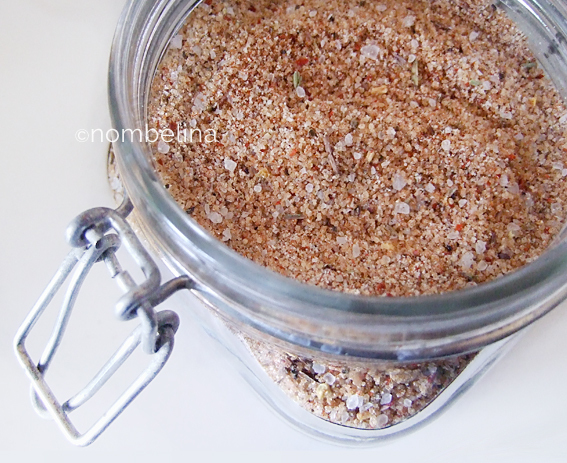 I used Kayotic Kitchen’s Soul Dust recipe. As I can’t get kosher salt I used coarse sea salt. Don’t use regular table salt. Sprinkle the meat liberally with a couple of tablespoons of dry rub and rub it in a bit. Sear the meat on a medium to high heat in a bit of oil. Pour a bit of oil in the slow cooker, spread the garlic and onions over the bottom and place the meat on top. Mix the barbecue sauce, vinegar and cola. I used a spicy barbecue sauce and didn’t use that much. If yours isn’t that spicy, you could use a bit more. Pour the mixture into the slow cooker, put the lid on and set it to low. Leave it for about 8 hours. I turned on the slow cooker the evening before. The next morning it was done! 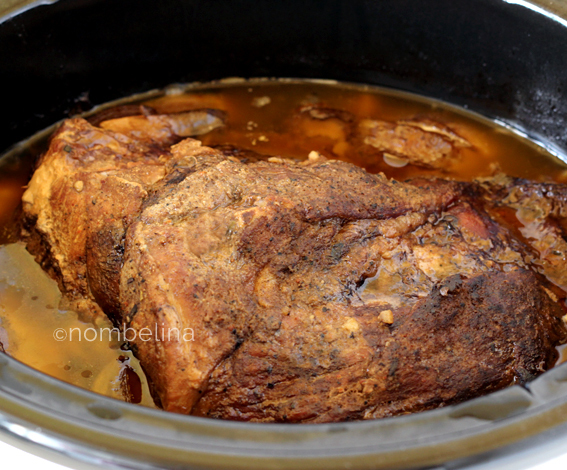 When making pulled pork or a stew a couple of hours longer wont matter. Impressed with how I managed to remove the meat in one piece. The pulled pork. 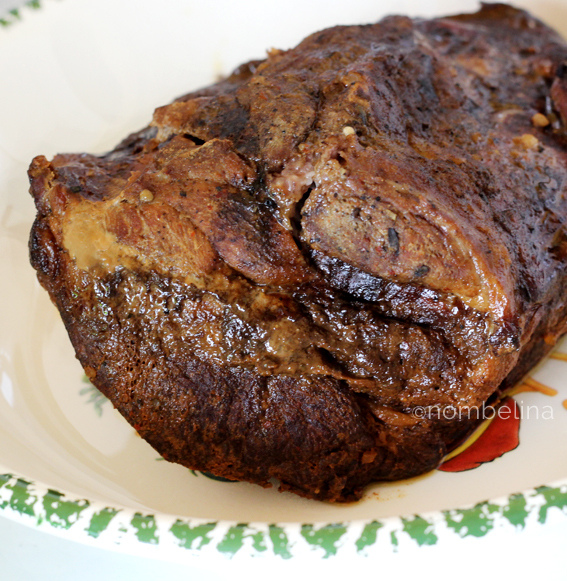 I removed some of the liquid from the slow cooker so the meat wouldn’t be too wet. I added the meat back to the pan. At this stage you could add some extra barbecue sauce to your liking. The liquid you removed could be used for flavoring meatballs for example. 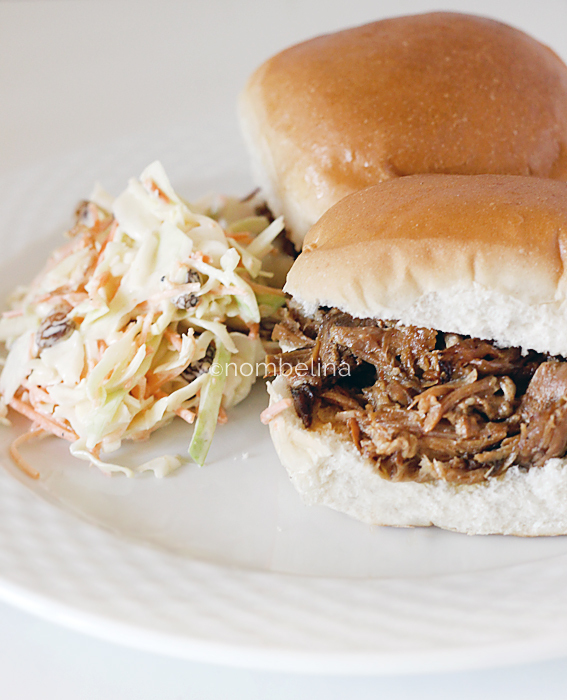 We ate the pulled pork on soft buns together with some homemade coleslaw. Soft bread, yummy soft meat and crunchy coleslaw. Perfect! I was a bit unsure on how to tackle the pulled pork, especially about the amount of liquid I should add. My Twitter followers helped me out a lot, thanks ladies! Can’t say how often I will be using the Crock-Pot. It would be a shame if it ended up in the back of a cupboard. I do plan on experimenting with various recipes, so beware!